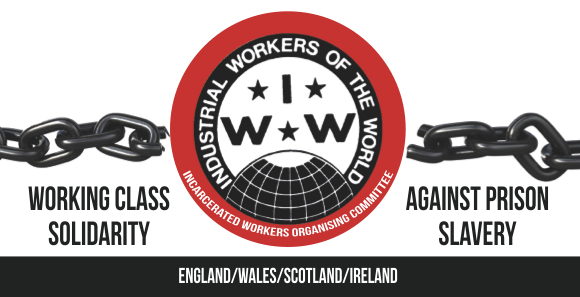 Below is an article written by IWW member John Bowden, printed in the Incarcerated Workers Newsletter, Summer 2015. A recent government announcement that it is considering U.S.-style prison sentences—like a hundred years for the most serious offence- is, on one level, a straightforward attempt to undermine a recent European Court of Human Rights Ruling, one that declared that life-sen- tenced prisoners should be given some hope that their sentences will be reviewed before they die. And, on another level, this is evidence that the Americanisation of the British criminal justice system continues to increase and deepen. Apart from the probable introduction of prison sentences that are, in effect, a slow form of capital punishment, an American penology has characterised the treatment of British prisoners for quite some time in the form of the “treatment model,” with its psychology-based programmes and cours- es. These programmes and courses are de- signed and inspired by Canadian and U.S. ideologies regarding “offending behavior,” which is attributed not so much to social and environmental causes, but more the individual pathology of the “offender.” So, the fact that the prison population is drawn disproportionately from the poorest and most-disadvantaged group in society is of absolutely no significance and, instead, a crude behaviourist notion prevails; provid- ing that prisoners can be re-socialised into behaving in a “normal” way, then “offend- ing behaviour” can be exorcised from their thinking—before they are released back into the same desperate economic and social circumstances. Predictably, the “treatment model” with its programmes and courses has had absolutely no appreciable effect on recidivism rates. As in American prisons, prison-hired psychologists in Britain have carved out a veritable industry for themselves in the prison system by subscribing to the belief that inequality, disadvantage and poverty have nothing to do with the reason most people end up in prison and, instead, everything to do with individual pathology—in the form of inherent personality disorders—and an inability to distinguish right from wrong. And again, as in the U.S., prison psychologists in Britain have now become an integral part of the system of control and repression in prisons, legitimising it with a language and narrative of “treatment” and addressing prisoners’ “needs” and “risks.” So entrenched have psychologists now become in the prison system that, like their American counter- parts, they often willingly assist in the use of the worst forms of repression against prisoners labeled the most “difficult” and “unmanageable.” American prison officials’ penchant for euphemisms to disguise the reality of its worst practices and forms of punishment— such as “special management units” where, in fact, prisoners are clinically isolated and psychologically brutalised—is a tendency that finds expression in British prisons now. “Close Supervision Units” and “Intensive Intervention Units,” overseen and managed by both jail administrators and psychologists, are also places where “difficult” prisoners are subjected to extreme punishment and a denial of basic human rights, often to the extent that many are driven to insanity. The American “treatment model” of prisons probably finds its most extreme expression in the U.K. prison system in the form of “Dangerous Personality Disorder Units” (DPDU) created and overseen by psychologists from the psychopath-spotter school of psychology that defines all “anti-social” behaviour on the part of the least powerful and least wealthy as symptomatic of psychopathology. In the totalitarian world of prison, either fighting the system or confronting the institutionalised abuse of power that prevails there is sufficient to be labeled a “psychopath” by psychologists who are anchored—mind, body and soul—to the prison system. In the case of life-sentenced prisoners, such psychologists now have the power to decide if they are sufficiently risk-free to ever be released. It is not just within the prison system that the American influence is apparent, it is also recognisable in the radically-changed role of probation officers and criminal justice system social workers, from what was traditionally “client-cantered” liberal occupations to an overtly “public protection” cantered extension of the police and prison system. Now a closer equivalent to the American parole officer, probation officers and criminal justice system social workers in the U.K. now see their roles as policing parolees or “offenders” on supervision orders and returning them to jail for the slightest, technical breach of their license conditions. The massive increase in the use of community supervision orders as a form of social control has created a veritable ghetto of marginalised people in poorer communities who exist constantly in the shadows of imprisonment and the omnipotent power of their supervising officers. This mirrors what has been taking place in some U.S. states as the global economic crisis has virtually eradicated legitimate employment in poor communities and replaced it with an alternative economy of illegal drugs, resulting in the almost-mass-criminalisation of young working-class men, especially those from poor African-American communities. In such deprived communities, prisons now replace factories where the new underclass are increasingly concentrated and forced to work as cheap labour for multinational private security corporations that now own and operate a significant portion of the American prison system. This new prison industrial complex is laying roots in the U.K. too, and it is from the poorest industrialised communities that it draws its sources of cheap labour and human commodities. This U.S. cultural influence on the criminal justice system is far greater in the U.K. than anywhere else in Europe, which accounts for the U.K. having the largest prison population and the longest prison sentences in Europe. It is also forever vulnerable to the American-style prison riot when despair and hopelessness overshadow prisoners’ lives completely and there is essentially nothing left to lose. As a model of either justice or retribution, the American criminal justice system is riddled with corruption and failure, and yet Britain slavishly attempts to imitate it—in its quest to achieve absolute social control at a time when the lives of the poor are being made increasingly unendurable, and society continues to fracture and polarise. John Bowden is currently resident at HMP Shotts.